(b) a warrant case, he may issue a warrant, or, if he thinks fit, a summons, for causing the accused to be brought or to appear at a certain time before such Magistrate or (if he has no jurisdiction himself) some other Magistrate having jurisdiction. (2) But the Magistrate inquiring into or trying the case, may, in his discretion, at any stage of the proceedings, direct the personal attendance of the accused, and, if necessary, enforce such attendance in the manner hereinbefore provided. Provided that the amount of the fine specified in such summons shall not exceed [one thousand rupees]. (2) For the purposes of this section, "petty offence" means any offence punishable only with fine not exceeding one thousand rupees, but does not include any offence punishable under the [Motor Vehicles Act, 1939 (4 of 1939)]or under any other law which provides for convicting the accused person in his absence on a plea of guilty. 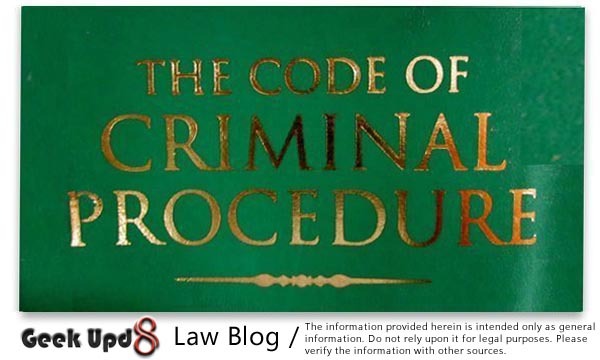 "(a) Commit the case, after complying with the provisions of Section 207 or Section 208, as the case may be, to the Court of Session, and subject to the provision of this Code relating to bail, remand the accused to custody until such commitment has been made." [President Act 30 of 1976, S. 2 w.e.f 7.7.1976]. (1) When in a case instituted otherwise than on a police report (hereinafter referred to as a complaint case), it is made to appear to the Magistrate, during the course of the inquiry or trial held by him, that an investigation by the police is in progress in relation to the offence which is the subject-matter of the inquiry or trial held by him, the Magistrate shall stay the proceedings of such enquiry or trial and call for a report on the matter from the police officer conducting the investigation.